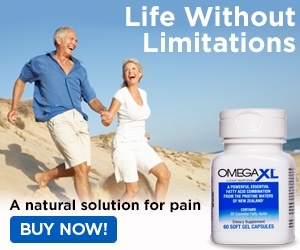 Omega Xl - Product is OK but if you have a problem like I di they will basically cheat you out of your money refusing make good on your complaint. Sep 01, 2015 Please accept our apology for your experience with our staff. Be assured that it is not our policy to charge for replacing a damaged shipment. The poor service you received is being addressed with the agent responsible. The service professionals in our Customer Advocacy Group contacted you via the email address you sent and you advised them that you have since spoken to one of our reps and your order has been replaced without charge. You indicated that you are satisfied with the service that you have now received. Should you need any assistance in the future, please don’t hesitate to contact them again, at 1-800-607-0419, or via email at cagsupport@greathealthworks.com. Do not order from these people, I ordered the product as It was OK, I mean I could order other fish oil supplements that are just as good, however my complaint is this. I ordered two bottle, they arrived but the heat must have fused the gelatin capsules together making it impossible for me to separate and take the two pills a day that I take, they would simply split apart and leave the stink of fish over my finger. I called them and they offered me a discounted price on two new bottles, wtf, I said no I would like to send them back and have two replacement bottles, well back and forth with some *** operator that went to an *** supervisor and on and on. It was like they were mentally challenged or something. In the end the operator came back and said they could only send me 1 bottle. I will never order from these thieves ever again and I would certainly hope that neither do you. Try Krill from Alaska, that product works as well. Review #690705 is a subjective opinion of Kboy111.